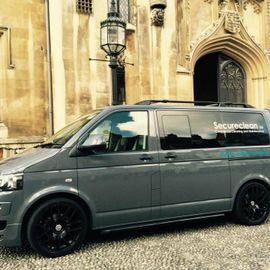 Secureclean Ltd are very proud of our specialist cleaning services. We have been looking after the specialist cleaning needs of some of the most famous colleges and heritage buildings in Cambridge. We feel very privileged to be able to restore these beautiful buildings back to their true glory, without causing damage to the delicate structures. We can provide a complete photographic record of each process so that you have the peace of mind that the work has been completed to a high standard. We will access extremely high internal and external areas to clean years of dust and dirt. We use lightweight tools and mild chemicals to clean the most intricate areas. We work very closely with your building manager or house keeper, listening carefully to their requirements and concerns, to ensure a satisfactory completion. Our window cleaning operatives have been trained to provide a cleaning service to the most delicate and fragile stain glass windows, some of which have not been cleaned for many years. A full consultation would be completed before any works are carried out. Our specialist cleaning team can carry out a thorough clean of any delicate and intricate chandelier. The greatest of care is taken to restore these beautiful show pieces, each individual piece is handled appropriately with consideration to its age. The cleaning would be completed in-situ to avoid unnecessary risk of damage. Using the latest specialist floor cleaning methods we can clean and restore any wood and hard flooring surface. This would include stripping and resealing, high speed buffing and polishing. Taking to consideration the age and type of masonry, our team will clean using pressure wash equipment or appropriate chemicals. We will remove graffiti, moss, algae and dirt caused by pollution. For a free quote on any types of cleaning carried out by Secureclean Ltd, please get in touch by calling 0800 047 6024 or fill out a contact mail us.